CARBONDALE, Ill. — Art Over Easy, the annual art auction and show hosted by Southern Illinois University Carbondale’s School of Art and Design, is back for the 14th year with new and exciting features for all local art lovers. The fundraising event is set for 7-10 p.m. on Dec. 7 at the Surplus Gallery, the main gallery in the Glove Factory. A unique display of art from local artists, talented faculty and graduate students will transform the gallery, while live music and refreshments will make the evening fun. This year, Art Over Easy will include several new elements to compliment the traditional components of the popular event. A special VIP reception, beginning at 7 p.m., will provide access to an exclusive artist reception with the faculty and artists who contributed to the event. The event will also feature jazz music by Isaac Lausell, of the SIU Music program, along with hors d’oeuvres from local vendors and wine from local wineries. 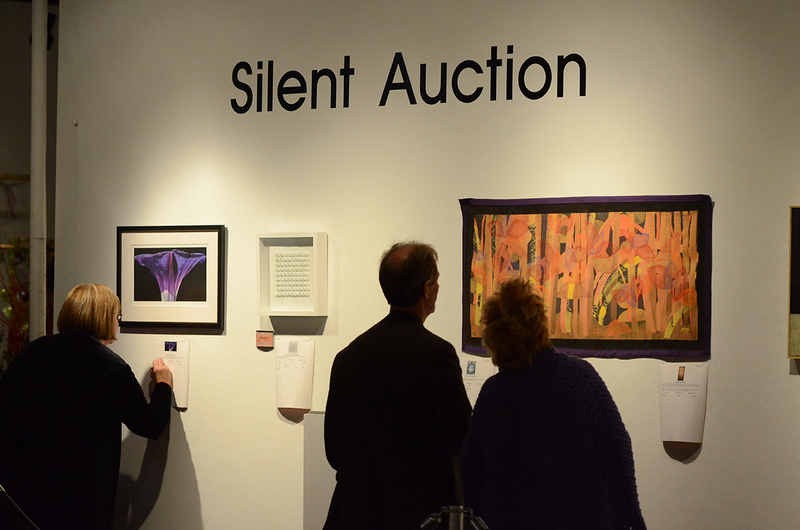 Original artwork from faculty, students and community members will be part of the silent auction, while the live auction will provide opportunities for participants to bid on art and scholarships. Tickets are available online or at the door. 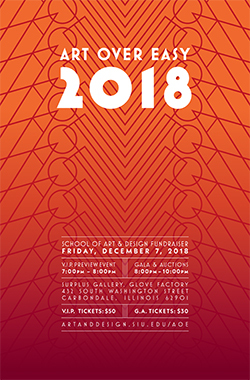 VIP tickets are $50, with doors opening at 7 p.m., while general admission is $30, with doors opening at 8 p.m. All proceeds from the gala support the ongoing research and creative activity of talented current and former faculty and students, equipment upgrades and facility needs of the School of Art and Design. Community partners of the annual event include Southern Illinois Healthcare (SIH), the Neighborhood Co-op Grocery, SIU Credit Union, The Bank of Carbondale and Silkworm. Those interested in joining as a sponsor of the event should contact Robert A. Lopez at roblopez@siu.edu or 618/453-7752. Surplus Gallery, main gallery in the Glove Factory. 432 S. Washington Ave., Carbondale. $50 VIP tickets, $30 general admission. Media Contact: Robert A. Lopez, Interim Director, School of Art and Design 618/453-7752.